urajet technology delivers a full-bodied spray with maximum body contact and all-over warmth. It is our most advanced, most invigorating shower experience yet. Overhead drencher and hand shower with our Aurajet shower technology built-in, delivers an immersive, invigorating shower experience. 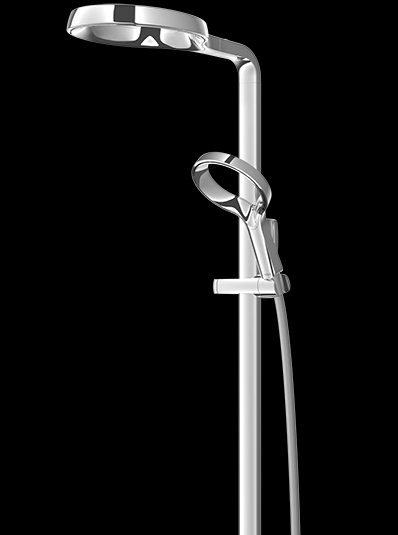 200mm chrome plated drencher delivers an immersive, invigorating shower experience. A full-bodied spray for all-over warmth and maximum body contact. Water flow rate is optimised to be water efficient without compromising the luxurious spray performance.